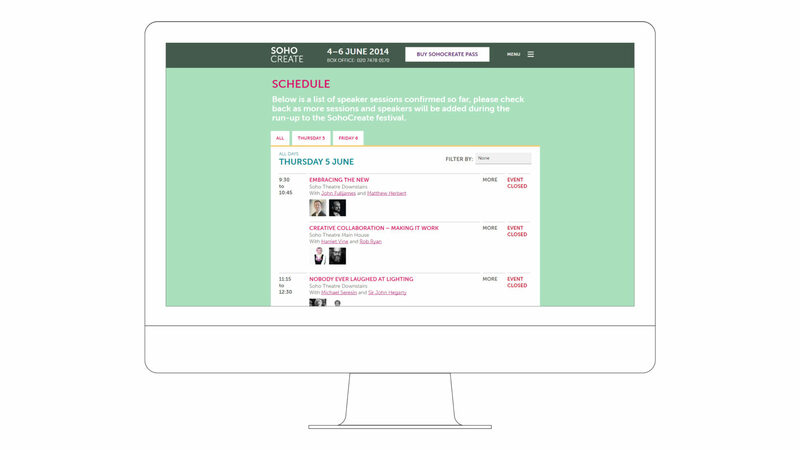 SohoCreate is a festival for the entertainment and creative industries in central London. 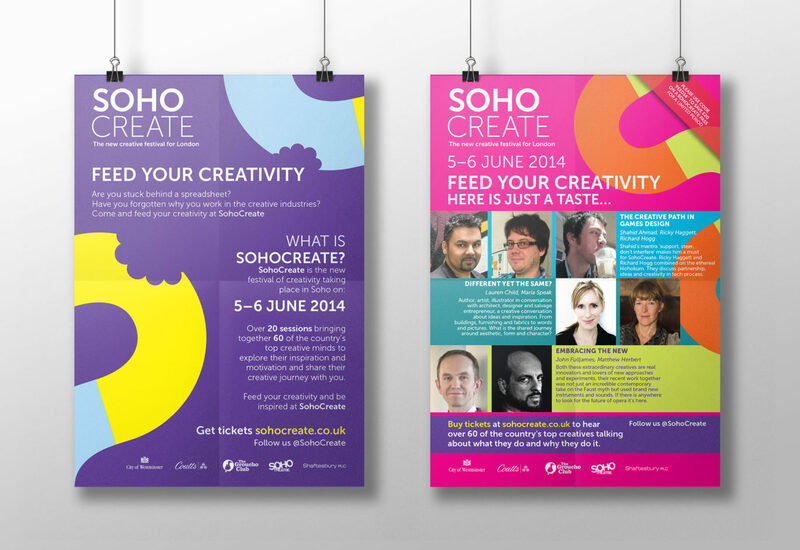 It is a major initiative that champions, celebrates and showcases Soho’s rich network of creativity activity. 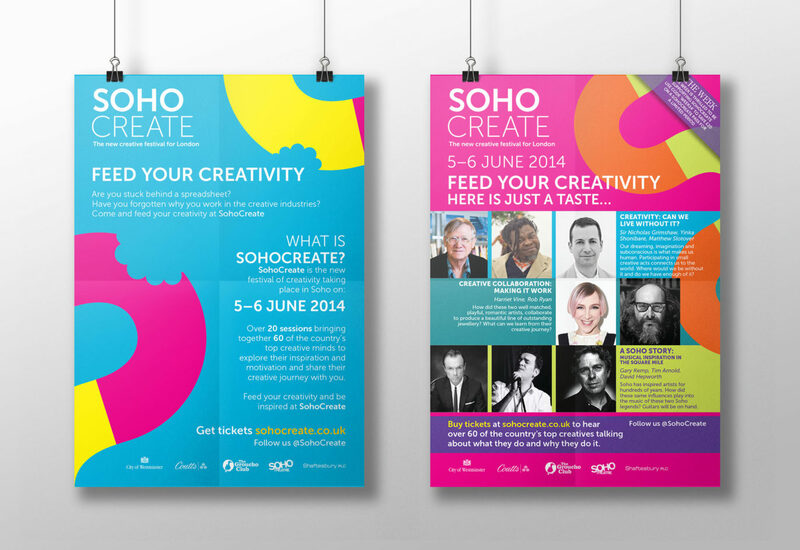 The festival provides a platform for creative leaders, artists and entrepreneurs to talk about their work and their inspirations, highlighting Soho’s position as the UK’s most dynamic creative hub. 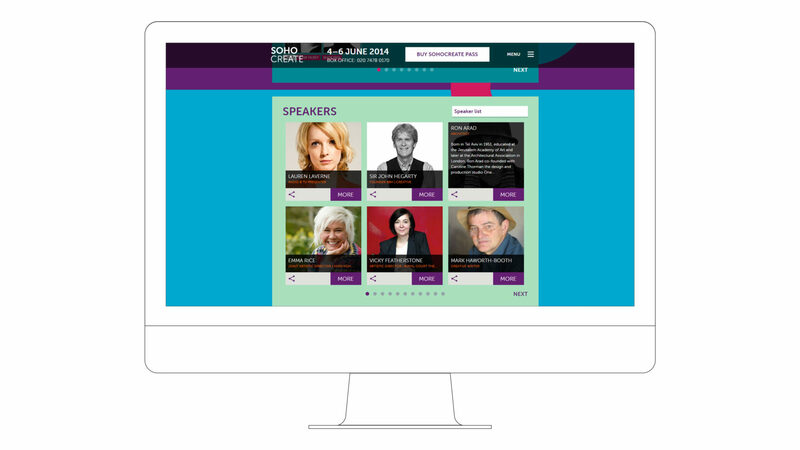 Our task was to create the website and ticket system to promote the inaugural festival in June 2014. The site was to be pivotal to the whole festival, being the main source for information, including what’s on where and when, and providing links to a stand-alone ticketing platform, making the whole experience as seamless as possible. One of the challenges of the brief was to design and deliver the site, fully functioning and live, within three months. In order to achieve our goal a rigid timetable for development and approvals was instigated at the start. Taking our lead from the already establish brand identity we devised wireframes that helped organise the content, while the design components of type, colour and imagery helped bring life and excitement to the online experience. Rapid testing was carried out and the links to the ticketing platform were up and running in time for the launch. 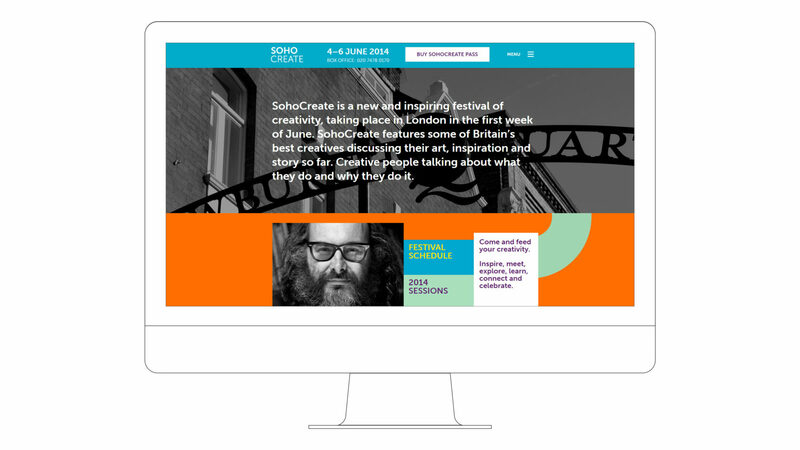 As a first time festival SohoCreate 2014 was rated a huge success by organisers and attendees alike. Over 800 people attended the festival events, engaging with 62 leading creative industry speakers in five venues over 28 sessions. Incredible efforts under extreme pressure, well done team Playne we did it! Seven open house sessions were also hosted by some of Soho’s most renowned creative businesses. A young people’s day involving over 100 students from local schools and universities was held to help connect young local talent with leading creative practices. Part of the website’s success was the way in which it reflected the energy and resourcefulness of Soho’s creative community. Thanks so much for pulling this all together. It looks brilliant.